Elections to fill three seats on the openSUSE Board are set to begin in the coming weeks and candidates are needed to fill these three positions. Candidates elected to the position will serve a 24-month term. The terms of Robert Schweikert and Kosta Koudaras’ will expire and the seat of Peter Linnell, who was appointed as a replacement for chairman Richard Brown, will need to be filled. Members of the openSUSE board help to influence the future direction of the project. Members are encouraged to learn the election process, run for the board or propose a candidate. The committee for this election is Frederic “fcrozat” Crozat and Marcus “darix” Rueckert. In the application, candidates should write a short introduction of themselves and a short manifesto/platform/program that addresses a goal statement, applicants past work summary and the candidate’s future plans. 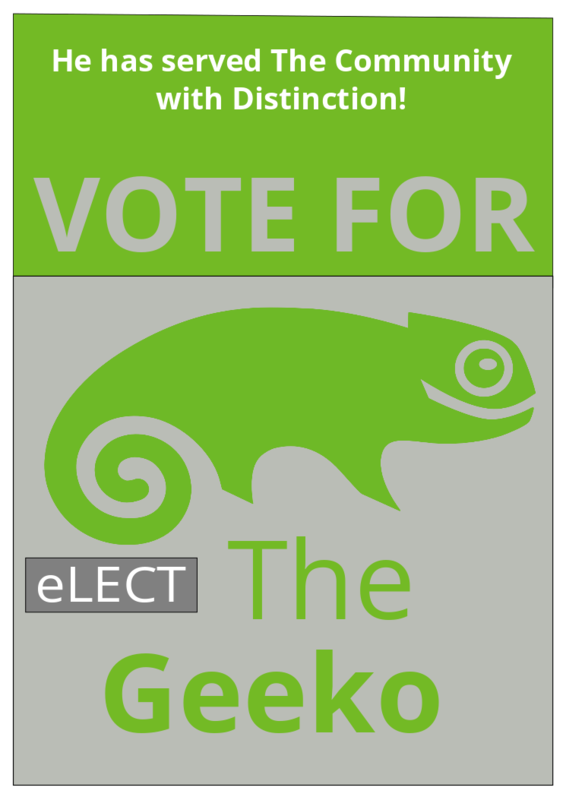 Announcement of the openSUSE Board election for 2014. Period to apply for an openSUSE membership (in order to vote or candidate). Phase to stand for a position in the openSUSE Board. Notification of intent to run, and application for an openSUSE membership close. Start of 4 week campaign for the candidates before the ballots pen (campaign might be done until ballots close). Ballots open: Please cast your vote! « What to expect from Btrfs on openSUSE 13.2?